‘Tis the season for giving, and Florida Rx card took part in giving back this year by hosting a toy drive for Children’s Miracle Network Hospitals at UF Health Shands Children’s Hospital to brighten the lives of pediatric patients and their families in the hospital during the holiday season. 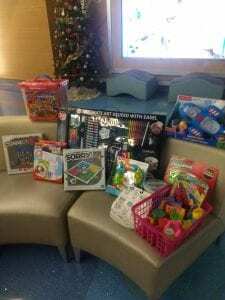 Throughout November and December, representatives from Florida Rx Card across the state collected toys, art supplies, and other gifts for the pediatric patients at UF Health Shands Children’s Hospital. At the conclusion of the toy drive, a representative from Florida Rx transported the collected items to the hospital and presented them to the Child Life department. 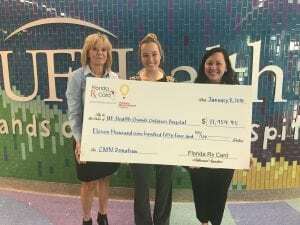 Thank you, Florida Rx Card for all you do for the pediatric patients at UF Health Shands Children’s Hospital! Previous post: Three Schools. 26.2 Hours. Over One Million Miracles.